Bolivia, Cuba, Ecuador, El Salvador, Mongolia, Nicaragua, Paraguay, Portugal, South Africa, and Venezuela put forward the draft resolution, previously adopted by the Human Rights Council in September (IPW, Human Rights, 1 October 2018). The non-binding resolution was adopted after a vote [pdf], with 119 for, 7 against, and 49 abstentions. Voting against the resolution were: Australia, Hungary, Israel, New Zealand, Sweden, the United Kingdom, and the United States. Those who abstained included most European Union nations, such as Germany, France, Ireland, Belgium, Denmark, and Spain, along with countries such as Argentina, Brazil, Colombia, Japan, Singapore, and South Korea. China and India, as well as a number of Latin American, Asian, and African countries voted for the resolution, along with Switzerland, and Monaco. The declaration calls for countries to “respect, protect and fulfil the rights of peasants and other people working in rural areas,” and says “they shall promptly take legislative, administrative and other appropriate steps to achieve progressively the full realization of the rights of the … Declaration that cannot be immediately guaranteed” (Article 2). Article 16 deals with strengthening and protecting local livelihood options and the transition to sustainable modes of agricultural production, while Article 17 concerns the right to land. 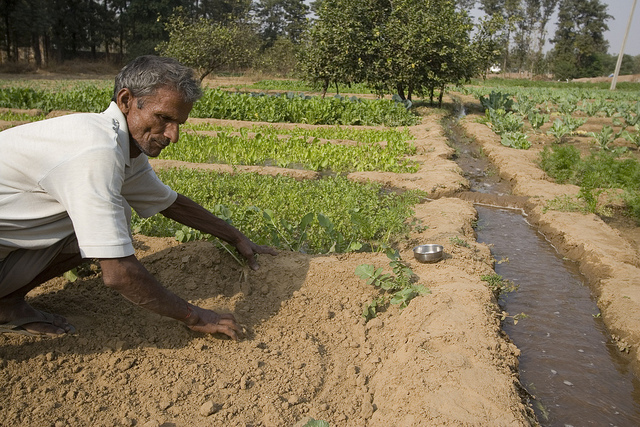 Article 19 deals with the right to seeds, including the right to the protection of traditional knowledge relevant to plant genetic resources for food and agriculture; and the right to equitably participate in sharing the benefits arising from the utilisation of plant genetic resources for food and agriculture. The right to save, use, exchange and sell farm-saved seeds is related to intellectual property issues, in particular the royalties on the harvested material if it is further used on a commercial basis by farmers. States “shall ensure that seeds of sufficient quality and quantity are available to peasants at the most suitable time for planting and at an affordable price,” Art. 19 says. Article 20 says that states should prevent risks of violation of the rights of peasants from the development, handling, transport, use, transfer or release of any living modified organisms. According to a UN unofficial document, several countries during the discussion took issue with references to collective rights and the right to seeds on which there is no international agreement. The right to seeds, and in particular the right to save, exchange, and sell farm-saved seeds is also enshrined in the International Treaty on Plant Genetic Resources for Food and Agriculture (Article 9) [pdf]. However, it seems that this right is not enforced in some countries, in particular countries that are members of the latest version of the International Union for the Protection of New Varieties of Plants (UPOV) convention. Seeds companies and plant breeders have argued that if peasants want to save and sell seeds that they harvest from improved protected seeds they bought from the companies, they would have to pay royalties. The Via Campesina, a global peasants organisation, in a press release, said the declaration is a landmark. “The scramble for resources that is going on in the African continent and elsewhere has put peasants in an extremely vulnerable position. The ongoing attack on peasant seed systems have repercussions that go beyond those who produce the food,” said Elizabeth Mpofu, General Coordinator of La Via Campesina. “For 17 years we have been patiently campaigning for an international instrument that can protect our rights as peasants and to guard our food systems from being dismantled to favour a few. It is a proud moment today for millions of peasants worldwide, who never give up when faced with adversity,” she added. UPOV has 75 members[pdf], including countries which voted for the resolution, such as Switzerland, Portugal, China, and Chile. "UN Committee Adopts ‘Landmark’ Declaration Reinforcing Peasants’ Rights To Seeds" by Intellectual Property Watch is licensed under a Creative Commons Attribution-NonCommercial-ShareAlike 4.0 International License. Why would Aotearoa vote against this? Why would Jacinda Ardern’s coalition government vote against this? Why would the government which wants qualities such as kindness and fairness to be part of the way it leads New Zealand, vote against this? Does Monsanto own this government too?